This is a one-player puzzle game. 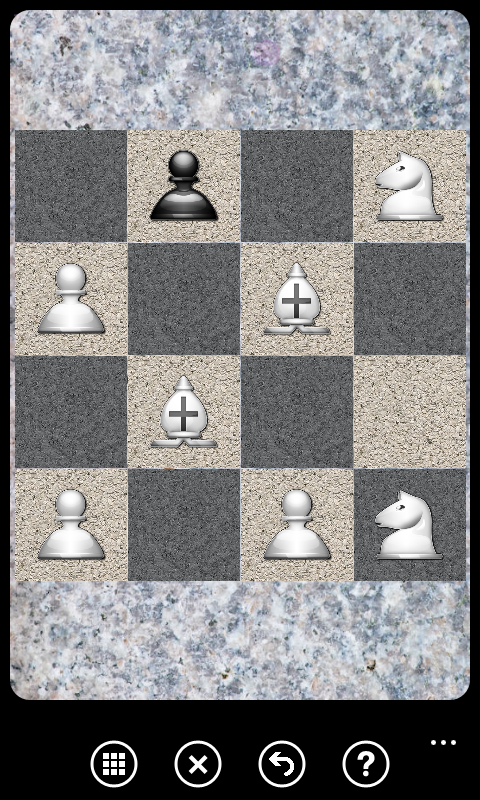 The target of the game is to remove all chess pieces but one from the board. The pieces move as per the chess rules. A move must be combined with capturing of another chess piece. On the maximum difficulty level any chess piece may only be moved twice.